You can support us through 2% of your tax. 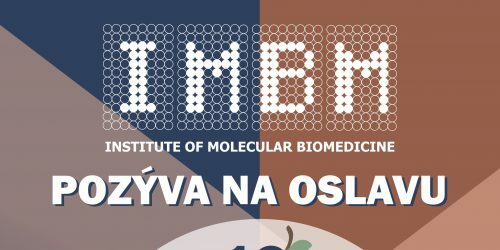 IMBM is a research institute of the Faculty of Medicine at the Comenius University. It is located in the Old town of the capitol of Slovakia – Bratislava at Sasinkova street 4 and in the Biomedical research center of the Slovak Academy of Sciences at Dubravská street 9. The mission of IMBM is simple: doing (and enjoying doing) interesting and meaningful science. The educational background of the staff includes molecular biology, biophysics, biotechnology, physiology and medicine. We believe that interdisciplinarity is a key scientific value. 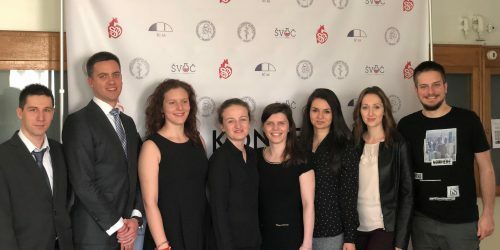 We collaborate with clinicians and complementary research institutes all around the globe (Aachen, Gothenburg, New York, Boston, Hradec Králové…). PhD students are trained at our institute in experimental and laboratory medicine. Undergraduate students are working at IMBM on their bachelor/master/doctoral theses. We learn and teach at the Faculty of Medicine and the Faculty of Natural Sciences of the Comenius University. If you share the devotion to science with us, apply and join us.